The first impression you create with your foster child is often vitally important to how the next few days and weeks will transpire. This will probably not be the sweet little child who rushes into your waiting arms, laughing delightfully, as you might imagine. It is highly likely that your foster child will be scared and frightened, full of anxiety. He may have left his family moments ago, and is now told that you are his family, for the time being. Without a doubt, he is full of questions, as emotions swirl within him. No matter how much this child has been abused, whether it is physically or emotionally, your foster child will want to their mother and father back. After all, these people have been the most important people in his life. Along with this, he has lost his familiar pattern of living, his home, his friends, and all that made up his own personal world. Although it is impossible to predict how he will react when he first meets you, it is important that you approach this time with caution and care. Each child’s placement is different. Some may come to you with a head full of lice, while some might be some might be covered in dirt, and the few possessions they own, if any, carried in a black plastic bag. In fact, they may only have the clothes on their back. Others may come to stay with you clean, healthy, and with a suitcase full of clothing, a box of possessions, and some money in their wallet. What is important is that you do not judge your foster child based on his arrival and appearance. However they arrive, they will need your patience, your time, and your love. When the caseworker pulls into your driveway, if possible, go out to the car and welcome the caseworker and child, introducing yourself immediately, with a warm smile and soft voice. Inform your foster child who you are and the role you will now play in his life. He may very well not understand the foster care system, or what foster parents do. Do not insist that your new child call you mom or dad. In fact, it is wise that you never insist upon this. The word “mom” may refer to the person who beat him. “Dad” may be the person who left his family. Allow your foster child to call you by your first names, if you feel comfortable with this, or by whatever name he feels comfortable in calling you. As the child may be scared, do not insist that he react to you right away. 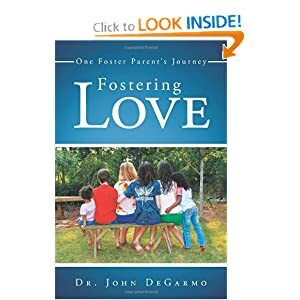 This is a time of extreme difficulty, and your foster child may be in a state of shock. As you help him inside with his possessions, take him by the hand, if he is a little one, or place a soft hand upon his shoulder, if he is a teenager. Actions like these can be reassuring that all will be okay, that he is in a safe and caring home. Do not insist upon hugging, as he may be too embarrassed or hurt to do so. After all introductions to the entire family have been made, take him on a tour of your house, his new home. Show him where he will sleep, and where his clothes will be kept. Have a nightlight already on in the room, if the room is dark. The smell of freshly baked chocolate chip cookies is always a welcome one in any home, particularly for children. Ask if he is hungry, and offer him some food. If he doesn’t want any food, do not insist upon it. He will eat when he is ready and hungry. You will have to sign some paper work with your caseworker, as well as go over any last minute news, details, and information. If possible, do this away from the child, as this, too, can be especially embarrassing and damaging to your new child. This is a good time for your foster child to eat, or be alone in his new room. If you have children of your own, it may also be a good time for them to engage in some sort of play with their new foster brother. Your foster child will likely be overwhelmed with the situation, so it is important that you make sure your home is as peaceful and quiet as possible. Do not invite the neighbors or relatives over upon arrival. Instead, allow your foster child to have some personal space and alone time. If it is late at night, do not insist that he go to bed immediately. After all, he is probably not only needing some time to reflect on the day’s events, sleep may be difficult to come by, as he is in a strange bed, in a strange home. Sadly, it is not uncommon for newly placed foster children to cry themselves to sleep during the first few nights. Do not be surprised if this happens. He may be scared and lonely. Let him know that you understand how difficult it is for him, and that his tears are normal and all right. Read to him a bedtime story each night; place a nightlight not only in his room, but in the nearby bathroom, as well. Let him know that he can get up in the night and use the bathroom whenever he needs to.